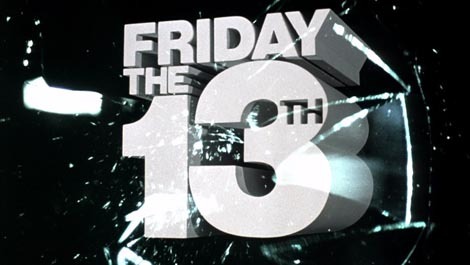 Home / Events / Friday the 13th 1980 / Friday the 13th Comes Home Again! Friday the 13th Comes Home Again! In the beginning of January, one of the first stories we wrote about was the awesome 2007 showing of Friday the 13th 1980 at one of the actual filming locations for that very movie. The event made some headlines and was very well received. Now, The Historic Blairstown Theater brings the classic home once again! The Grand-Reopening of the theater kicks off with the movie that started it all, and brought a newfound fame to the town of Blairstown, New Jersey. Visitors that are attending the Camp NoBeBoSco tour this Friday, May 13th are now in for a double treat. They can tour the original camp filming location in the day and check out the movie at another filming location at night. How lucky is that on the unluckiest day of the year! Showtimes are 7:00PM and 9:00PM on Friday only. Visit the website for the theater for details. For those that live close by or are attending the camp tour, have fun at the screening!